Bundesliga champions Bayern Munich have announced that tickets for all of their Bundesliga games in the upcoming 2018/19 season have been sold – home and away. 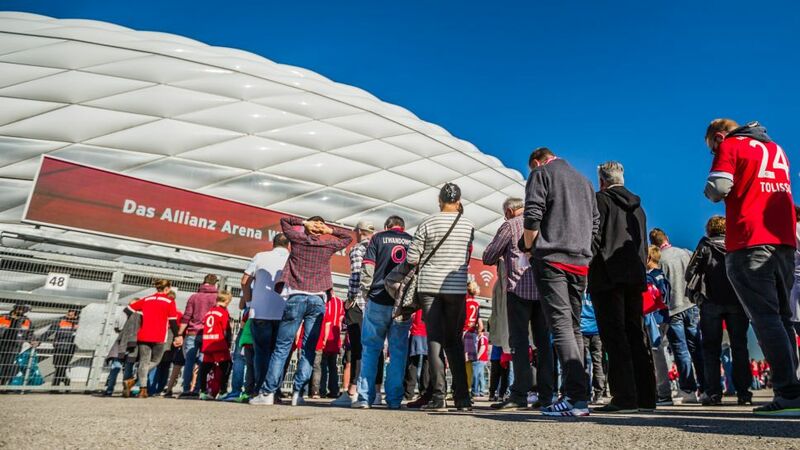 Not only are all their 17 fixtures at the revamped Allianz Arena home – starting with the visit of 1899 Hoffenheim in the season's curtain-raiser on 24 August – sold out, but their contingent of tickets for all their 17 away games have also been snapped up, over a month and a half before the season starts. Furthermore, all tickets for the record champions' trip to SV Drochtersen-Assel in the first round of the DFB Cup and the DFB Supercup against Eintracht Frankfurt – new coach Niko Kovac's first official fixture in charge on 12 August – have also been sold. Fans still wishing to catch a glimpse of the Bundesliga juggernauts do still have the opportunity to see them in one of their pre-season friendlies. Tickets are still on sale for their friendly with Manchester United on 5 August, as well as their games in Philadelphia and Miami against Juventus on 26 July and Manchester City three days later, as well as their clash with Paris Saint-Germain in Klagenfurt on 21 July. Watch: Take a virtual tour of Bayern's Allianz Arena! Bayern can therefore count on maximum support as they bid to win the Bundesliga for a record seventh straight season. Tickets for their UEFA Champions League campaign are also likely to sell fast once the draw for the group stage is made at the end of August.